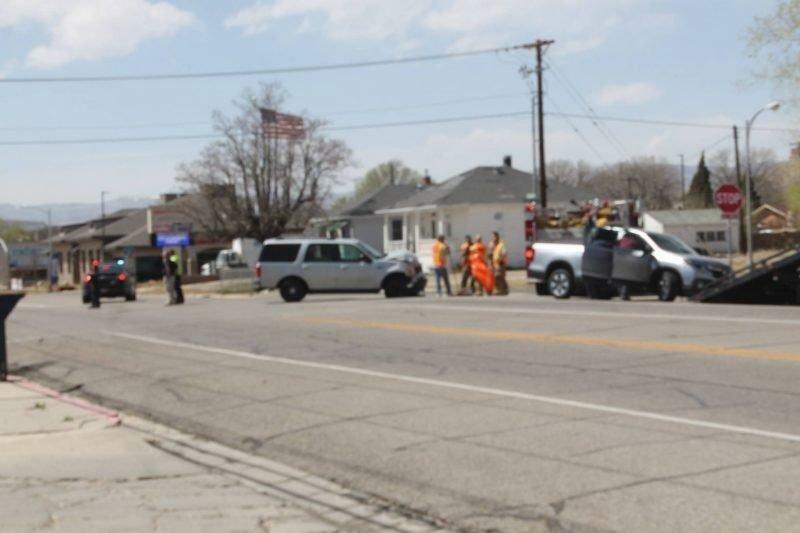 At approximately 2:15 p.m. on Monday afternoon, traffic was temporarily blocked on 1st North in Price after an accident occurred near the corner of 1st North and 4th East. Officers blocked oncoming traffic as responders tended to those involved in the accident. According to Price City Police Officer Cressall, a Ford Expedition was traveling eastbound when the driver failed to yield. The vehicle then collided with a Honda Pilot that was traveling northbound through the intersection. According to authorities, no major injuries resulted from the accident, although the driver of the Honda Pilot was reported to have bleeding from the nose.